According to IB Times, the asteroid NASA will be attempting to punch is the 150-meter-tall moon asteroid named Didymoon. As hinted by its name, which originates from the Greek word for twins, Didymos, it is part of a double asteroid system and orbits another asteroid that is 800 meters tall. The Double Asteroid Redirection Test (DART), the name given to this mission, would be the space agency’s first planetary-defense mission. 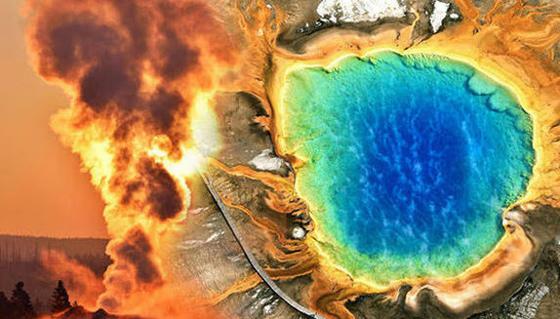 NASA has also touted lofty goals of drilling into Yellowstone to prevent a supervolcano eruption too, noting that one wrong move could set the caldera off. Nancy Chabot, a planetary scientist at Johns Hopkins University’s Applied Physics Laboratory and project scientist for DART, previously said that this mission is different from the usual NASA projects as it aims to solve a current problem in the solar system rather than study its past. “That’s one of the big differences, is a lot of the science-driven missions seem to be focused on understanding the past of the solar system, the early solar system, how it all formed,” she told Space.com earlier this year. DART will be powered by a solar-electric propulsion system. It is scheduled to crash into Didymoon in October of 2022. The European Space Agency (ESA) will be helping NASA out in this project with its Hera spacecraft, which will gather data about the asteroid. Hera won’t be present at the actual collision, but it will observe Didymoon in the aftermath of the crash. NASA is so far confident that this mission will be a success and Didymoon will be knocked off course. “DART would be NASA’s first mission to demonstrate what’s known as the kinetic impactor technique - striking the asteroid to shift its orbit - to defend against a potential future asteroid impact,” Lindley Johnson, planetary defense officer at NASA Headquarters in Washington, said in a statement. According to NASA, the spacecraft weighing 500 kilograms, will slam into Didymoon at 6 kilometers per second. This will change the asteroid’s orbital velocity by approximately 0.4 millimeters per second.